Could Vanishing Tax Credits Dismantle Green Energy? It would be nice to believe that people take steps to greening their homes for the sole purpose of bettering the environment and not because of financial gain. Unfortunately, the evidence is indisputable: more people go green if they get a tax break. Federal tax incentives play a huge role in jump starting green energy movements. Now, there’s a good change they’ll be cut back, or scraped completely which could have disastrous consequences for energy efficiency progress. For instance, this year, residential tax credits for energy efficient doors, windows and appliances was cut from $1,500 down to $500 ending with a 16% decline in the sale of windows and doors. This incentive–along with a $2,000 dollar credit for builders to construct homes that use 50% less energy than the original standard–is set to expire at the end of this year. Even if Congress extends these, energy incentives are at risk, especially if Republicans gain control of the White House in the 2012 elections as, “The classical conservative position is that credits and incentives for renewable energy or energy efficiency are not good policy,” says Clint Stretch, director of legislative affairs at Deloitte & Touche. It is difficult to measure the effectiveness of energy tax incentives. For instance, is the 30% credit for solar energy installations provided by federal government the reason why solar installations have exploded 800%? Or is it because solar energy awareness has increased while the cost of solar panels has decreased? Furthermore, tax incentives are currently structured so that some tax payers may receive a credit where as others might not. 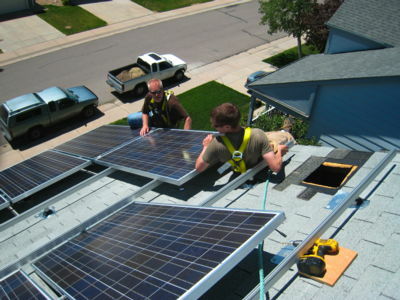 Many businesses weren’t able to take advantage of the 30% credit for solar system installations because they had no profits to show with the current economic climate–and businesses must claim the tax credit against profits. To alleviate this problem, Congress allowed businesses in this position to get a grant instead of credit, though this too expires at the end of the year. 84% of energy production in the US still comes from fossil fuels with only a sad 8.2% of energy coming from renewables. It seems if the US is actually interested in moving along the path of energy efficiency, nixing energy efficiency tax incentives is a bit preemptive and may seriously divert the potential of transitioning to green energy. For more information, check out the article in The Fiscal Times.